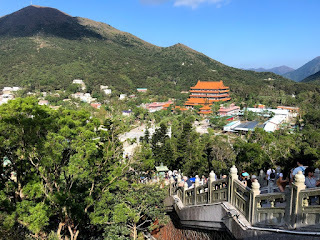 We set out for a day trip to Lantau Island. 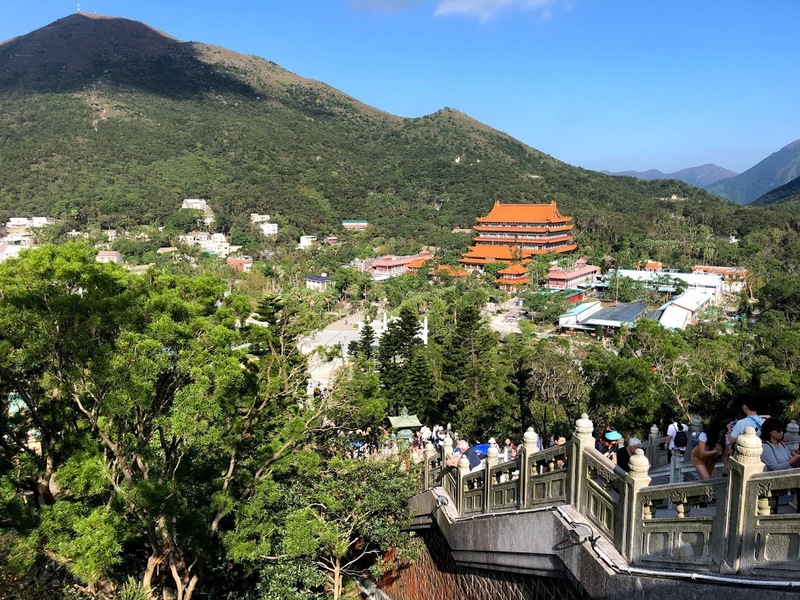 It’s close to the airport, but feels a world away from the hustle and bustle of Hong Kong. 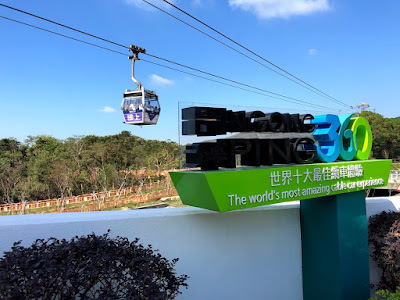 The day before, we purchased discounted, one-way tickets for the Ngong Ping Gondola from Klook. 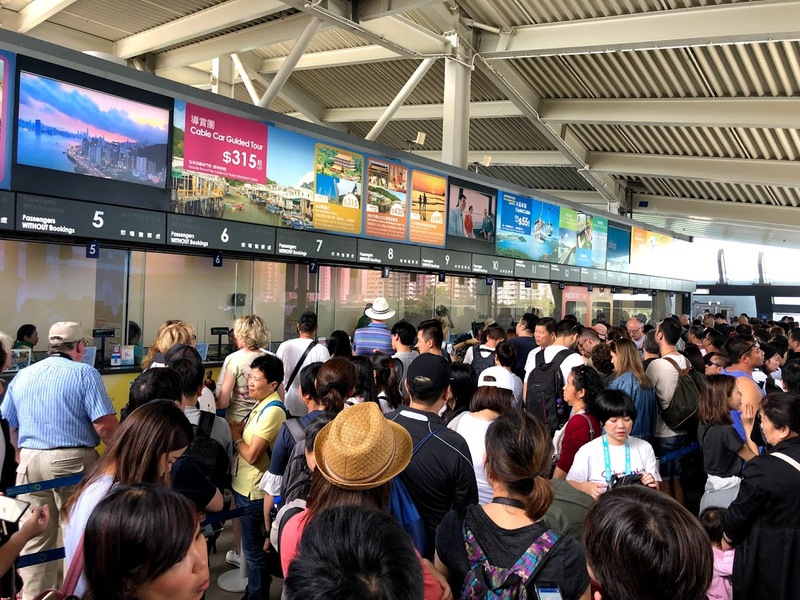 The Hong Kong-based booking agency offered the best price in Taiwan Dollars for some reason. It also has its own ticket queue at the gondola, which can speed things up a bit (still brace for a long line). 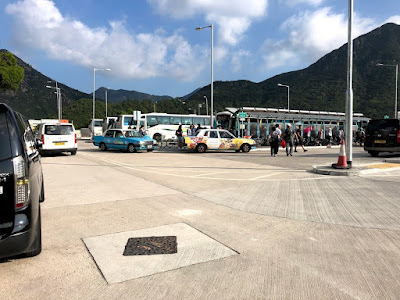 After exploring Ngong Ping, we headed to the bus terminus to catch bus 21 to the Tai O Fishing Village. The bus runs every hour during the peak times and accepts Octopus Card if you don’t have cash. It seemed very busy when we went, so we decided to go early and it’s a good thing because the bus filled to capacity for the 20 minute trip. Tai O is a quaint area that was once home to a large fishing lifestyle. 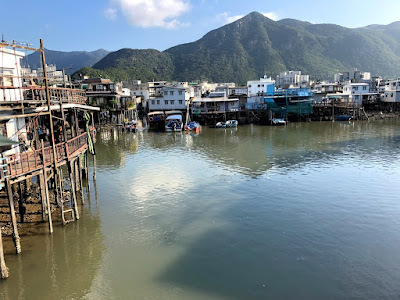 It still features many stilt houses as the river cuts through it. 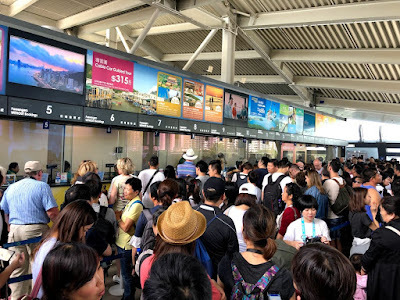 To save money and time we decided to take the ferry back to Tung Chung, where the Ngong Ping Gondola started. 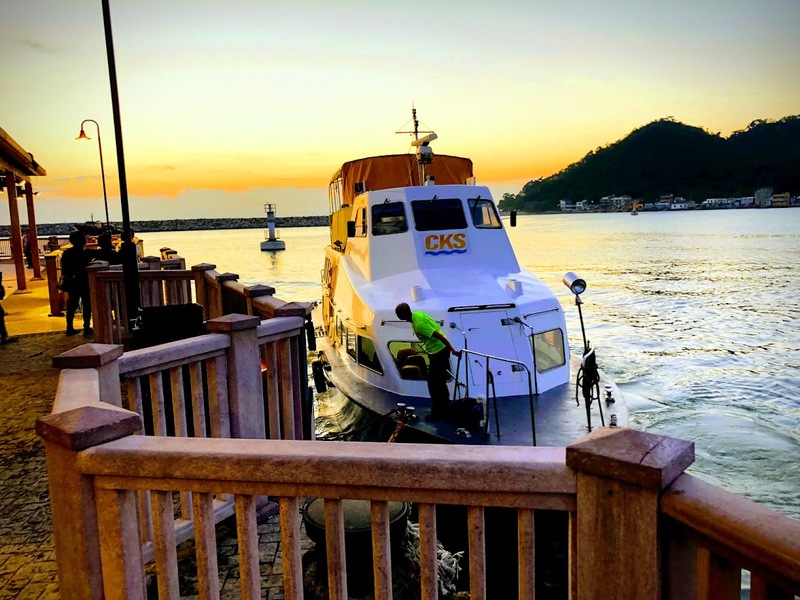 Fortune Ferry (CKS) provides the service four times a day. 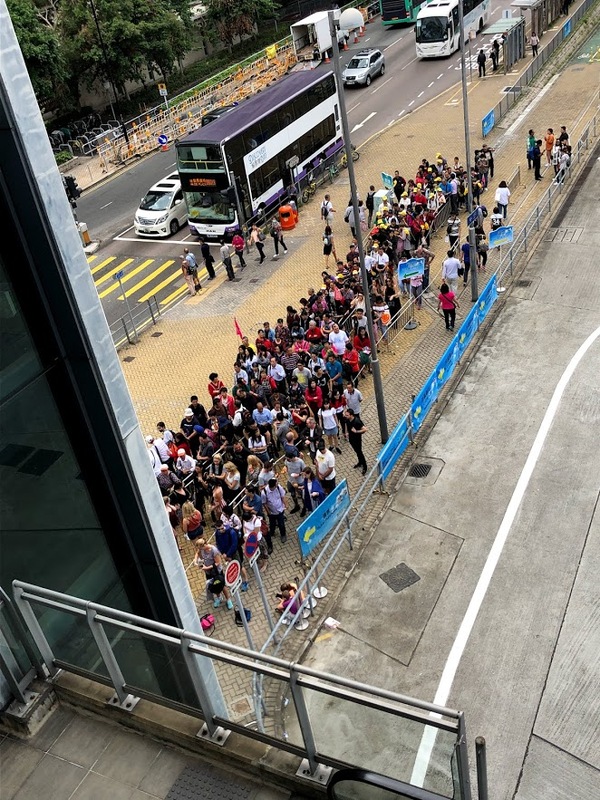 Again, I recommend getting in line early because people were turned away for the last ferry at 6pm (Consider the 11 bus if you do get stuck). 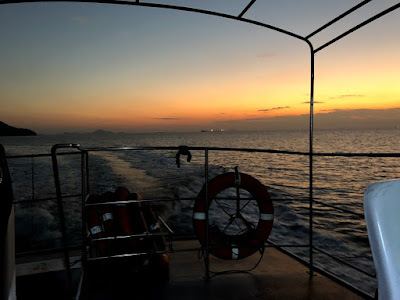 The ferry offered a great 35-minute sunset ride around the island for just HK$20. We even spotted a few dolphins jumping in the distance. Once docked, it’s a bit of a longer walk to the MTR station, but it gave us a chance to shed our sea legs and decide where we wanted to have dinner.